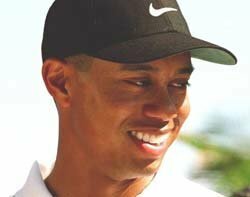 Sports personalities Tiger Woods, Kevin Pietersen and Andriy Voronin may have to apply for national ID cards following a change in the rules. Sports personalities Tiger Woods, Kevin Pietersen and Andriy Voronin may have to apply for national ID cards following a change in the rules announced by border and immigration minister Phil Woolas. He said skilled migrants who want to renew their visa will have to apply for a compulsory ID card. So too will ministers of religion, sports persons, representatives of overseas businesses and their dependants. The card will be evidence of their ability to work and live legally in the UK, he said. Until now the scheme covered mainly students and people seeking to renew marriage visas. More than 130,000 cards have been issued, and Woolas said the government expects to issue 140,000 more this financial year. The new rule will bring another 40,000 ID card applications a year, he said. Woolas said since November, 17 post offices have added extra capacity to speed up enrolments. "Already, 1,432 people have used the new technology in post offices to enrol their details," he said. Using the Post Office to enrol costs £8, but is free at UK Border Agency or Identity and Passport Service Offices. Detailed checking of identity and decisions on whether someone can stay in the UK are the UK Border Agency's responsibility, he said.